If a sterotype exists, it exists for a reason.If a ritual is particular attractive to a large amount of people, many people are attracted to it for reason.That is why reality television works. But the black murder suspect at the end saying that all the Jersey Shore guys look alike is beyond the pale. This is obviously based on the “Guido” episode of Bones, which TNT or USA or one of those has been showing about every hour of every day for the last month or so. I keep the TV on while I work, most of the time, because it keeps me company. I think I was trying to explain to myself why someone as supposedly as smart as Dr. Brennan would act the way she did about the Jersey Shore-type people, and I was trying to find an ANTHROPOLOGICAL reason for her dippy attitude. That same night, for about ten minutes, I ranted at the kitty about how Bones is not a good show at all. I am wishy-washy about that when I’m clearheaded, but when I’m sleep-deprived and tipsy I have very definite opinions about television shows. 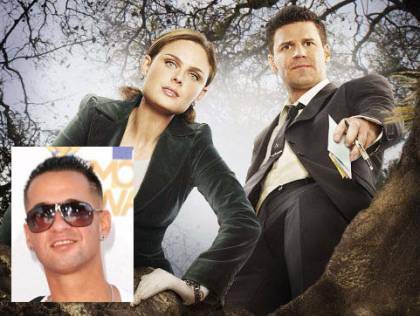 As an aside, the producers of Bones originally asked Mike “The Situation” Sorrentino to play the dead guy in that episode, but he said no so they got this guy named Anthony Pumilio instead who has, like, no credits on his IMDB page but 15 photos and a bunch of videos, so apparently he uses his IMDB page as his Facebook page or something. Great. Anyway, as you can see, I know a LOT about Anthropology, so you are lucky I can help you out with tough anthropological questions like these. 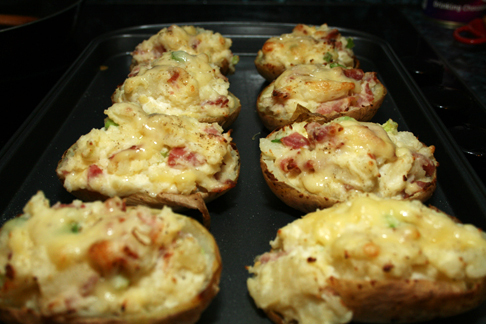 This entry was posted in Random Thoughts and tagged Anthropology, Guido, Jersey Shore, potatoes, Reality television, Television, TNT, United States. Bookmark the permalink. You’re kind of random. I love you. I caught that episode of Bones after Idol the other night. I totally LOL-out-loud-ed when that black guy said that at the end. Also, this is now my personal blog and photo site.